After the hectic pace of the holidays, a new year provides a welcome “fresh start”—a chance to adjust our habits and attitudes in ways that make us healthier and happier. 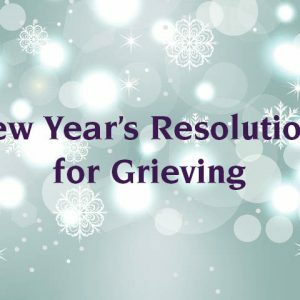 As a caregiver, a new year provides a chance to reflect on the joys and challenges of caregiving in the past year, and look for ways to make the experience more positive for both you and your loved one in the year ahead. To help you on that journey, consider adopting one of the following as your New Year’s resolution. As a caregiver, you may feel an unrealistic expectation to “do it all.” Remember, you’re only human, and you need (and deserve) all the help you can get. Make a list of specific items friends and family can help you with (e.g. shoveling the driveway, preparing meals or running errands). 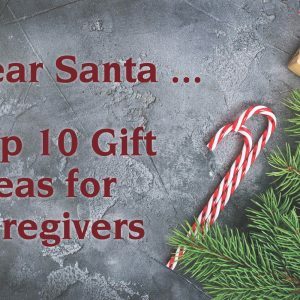 Hang your list on the refrigerator, or somewhere else where you will see it often. The next time someone asks what they can help with, refer to your list. If people have already offered to help, look at your list to see which items would be manageable for each person, and give them a call to ask. Scheduling a family care meeting is another way to divide the extra tasks. Pass your list around, and ask everyone to mark off one or two items he or she can help with. Take the time to discuss your loved one’s wishes for medical treatment, and get all the necessary paperwork in order to ensure those wishes will be carried out. Make sure the person under your care has a current will, trust, durable financial power of attorney (POA), as well as a medical power of attorney and advanced health care directive (sometimes called a “living will”). Consult with an attorney if you haven’t already done so. After all documents are complete, provide updated copies of the health care directive to your loved one’s healthcare providers and to any other decision makers in the family. 3. Learn more about community resources. Many communities have resources to help caregivers provide the best care possible while maintaining your own health and well-being. Make it your goal to learn about all the options available to you, even if you don’t need them right now. Start with your county social services department for referrals. Ask about caregiver support groups, transportation assistance, nutrition assistance or meal delivery, and adult day services or respite support. You can find information on North Dakota county social services programs here, including information on the ND Family Caregiver Support Program, or find Minnesota county social services programs here. Minnesota also offers Senior LinkAge Line, a free telephone information-and-assistance service, which makes it easy for seniors and their families to find community services. Churches or independent organization may also provide resources in your community. 4. Learn everything you can about you loved one’s illness and prognosis. Resolve to ask the “tough” questions of your loved one’s health care professionals. Learn what future declines may indicate a need for a different level of care, and learn how to choose the best care setting for your loved one. Look into hospice care options for the future. Knowing about options well in advance of needing them is the best way to be prepared, and prevents you from being rushed into making any spur of the moment decisions. 5. Schedule a “guilt-free” break from caregiving. Seek out options for respite care. Many counties have formal respite programs available, or it could be a matter of asking a trusted friend or family member to sit with your loved one while you spend time away from caregiving duties. Use this time to rejuvenate yourself and experience true relaxation, whether that means a massage or just a long nap. Combat the “guilt” by reminding yourself that you can only be the best caregiver if you take proper care of yourself. Like all resolutions, you are more likely to stick with your goals if you write them down, verbalize them to others and track your progress. Most importantly, acknowledge you have a lot on your plate, and be kind to yourself and set reasonable timelines for accomplishing your resolutions. From all of us at Hospice of the Red River Valley, we wish you a happy and healthy new year!